Thank you for taking the time to complete the following questionnaire. This will help us get to know you better and help in choosing the appropriate puppy/dog for you and your family. We will contact you asap after receiving the completed questionnaire. Have you ever lived with a Border Collie? 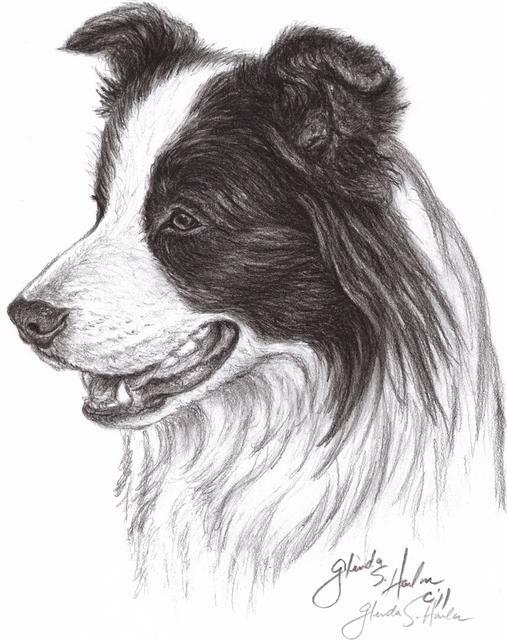 Are you familiar with Border Collies? If so, in what capacity? Do you plan to start your own breeding program with a Border Collie? What do you like best about the Border Collie? Where will this puppy be while you are at home? Where will this puppy sleep? How many hours a day will this puppy be by his or her self each day? How would you describe your training abilities? We highly recommend a basic obedience class/puppy class. What are your training philosophies?methods? The Border Collie is an amazing animal, it has been said the Border Collie is the most intellingent breed. With this being said, that does not mean they are the dog for everyone. The Border Collie is an active, working dog. Every Border Collie needs a 'job'. A job can be in the form of chasing a ball everyday, playing frisbee, or working on some basic obedience cues. As long as you have the time to ensure the dog gets plenty of mental and physical exercise then the Border collie may be the dog for you. A Border Collie is not typically a couch potato, however mine do have an on and off button. If you are looking for a lap dog content to just stay in the backyard or locked up by him or helfself all the time then the Border Collie is not for you. Have you had contact with another breeder(s)? If yes, do you have a deposit for a puppy with said breeder(s)? Which breeder(s)? ***If you do NOT have a fenced in yard I will not place a puppy or adult dog with you.